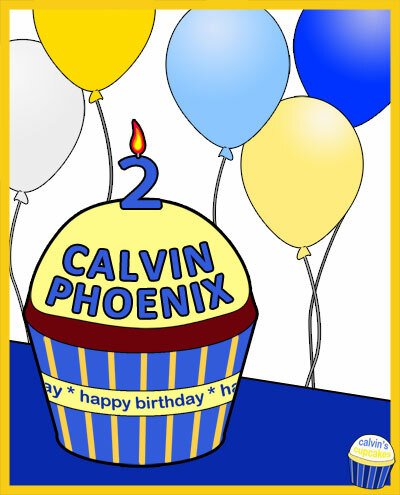 Custom Calvin’s Cupcakes are now available for $7 each. With a custom remembrance cupcake, you can fully customize the cupcake by adding your child’s name and choosing the cupcake flavor, frosting, cupcake wrapper, background color, and candy toppers. You may also make special design requests. The cupcake will be posted on the website, and you can include a message to the child, your story, and a link to the child’s website/blog. A high-resolution version of your child’s cupcake will also be emailed to you. 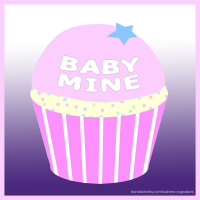 To purchase a custom cupcake, please submit your payment. After your payment is complete, you will be directed to a form where you can fill in the details for your cupcake request. To help ensure your cupcake is created and posted on time, we request that you try to order 4-6 weeks in advance. If you would like a free personalized cupcake, instead, please fill out this cupcake request form.